Konecranes Machine Tool Service will partner with Omative Systems North America to distribute a range of advanced machining technologies in the United States and Canada. SPRINGFIELD, OH--(Marketwired - December 07, 2016) - Konecranes Machine Tool Service, the nation's leader in machine tool maintenance, rebuilding, retrofitting and repair services for all types and brands of machine tools, will represent several innovative products developed by Omative Systems. These include software-based, real-time systems for adaptive machining, vibration monitoring, machine maintenance and shop floor production management. "We have just consummated an agreement to sell these productivity enhancement and maintenance troubleshooting tools to our customers, and also to provide service and perform installations for Omative's customers when needed," says Harold Schoch, Konecranes Machine Tool Service's Vice President, Sales. This agreement constitutes a key alliance between two global companies. Omative Systems products are used worldwide throughout the metal-cutting industry and have been increasing productivity and protecting tools for decades, with a strong following in the automotive, aerospace, power generation and machine production industries. Rising customer demand for their most recent range of products made it advantageous for Omative to involve Konecranes Machine Tool Service as a strategic partner. Konecranes Machine Tool Service is a division of Konecranes, a world-leading group of lifting businesses that includes the world's largest overhead crane service network. "Omative has products that we are excited about, and this relationship will allow us to promote several high-end technologies to our customers," says Schoch. "Their ACM product for adaptive control monitoring of CNC machines not only captures data, it also makes real-time adjustments to the machine that increase productivity and prolong tool life." On another front, Omative's VCM vibration monitoring system is a leading technology that enables shops to avoid catastrophic tool breakage. In less than one millisecond, VCM can signal the machine to perform an emergency stop, keeping collision-related damage to the machine, spindle and workpiece to a minimum. 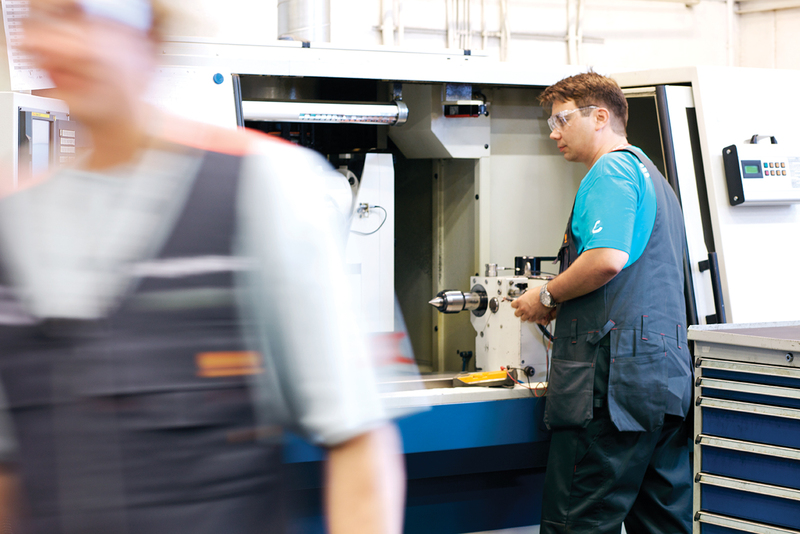 Konecranes Machine Tool Service will offer these products as options on every CNC control retrofit they perform, along with Omative's solutions for Shop Floor Information Management and Opti-Green for reduced energy consumption of various machine components. "This relationship is a win-win situation for both companies," said Mark Zuckerman, President and CEO of Omative Systems. "We seek to work with partners who can bring value to us and who we can bring value to as well. That's how I see this relationship with Konecranes Machine Tool Service -- a natural partnership of two companies providing unique services, who together can deliver today's best options for machine tool productivity and support."